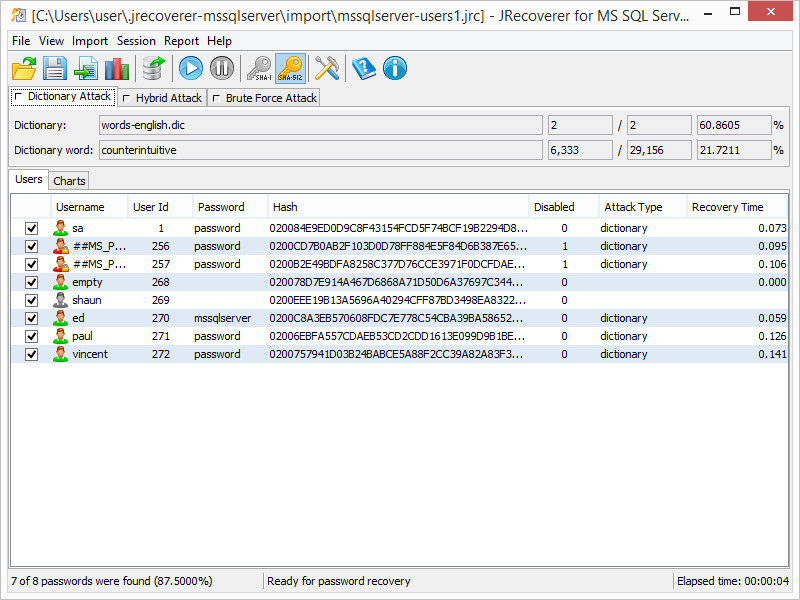 Recoverer for Microsoft SQL Server Passwords is a user account password auditing and recovery tool for Microsoft SQL Server database. The key advantage of the application is that its cross-platform. It can be successfully installed and run on various platforms: Windows, macOS or Linux. Account information import: import from database, import from a text file. Password recovery using dictionary attacks, brute force attacks, hybrid dictionary/brute force attacks. Generation of reports about recovered passwords: account list, charts and metrics.